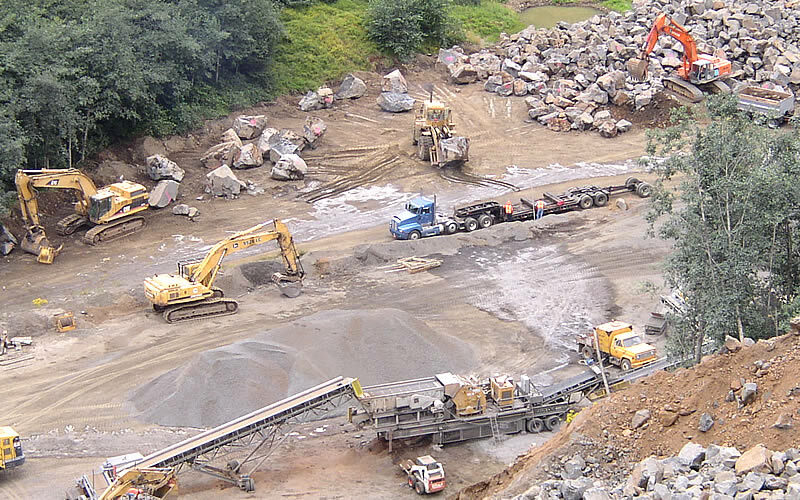 We supply high quality rock products to projects in Northwest Oregon and South West Washington. 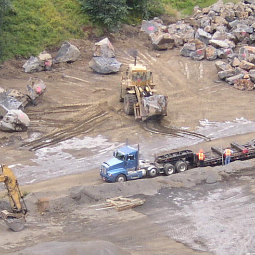 We have multiple quarries located in the North Coast Area and inventory all standard rock products (see current rock price tab). We also have a variety of specialty products like custom wall rock and jetty stone materials. 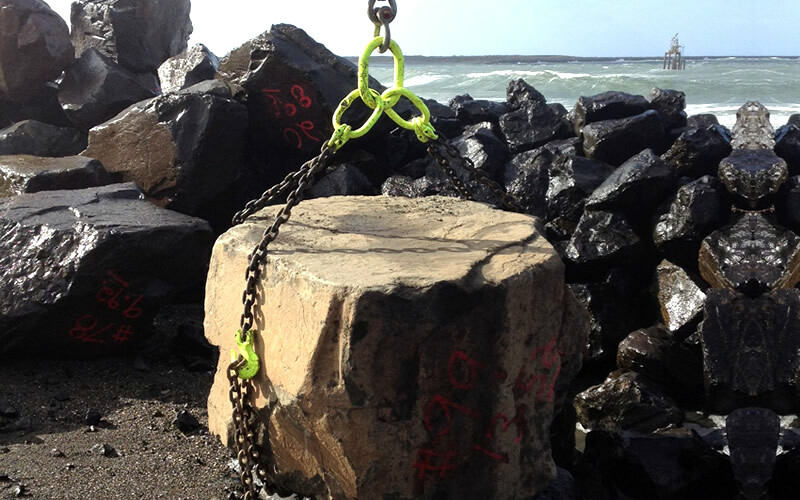 We have supplied projects in excess of 350,000 tons, including U.S. Army Corp of Engineer upgrades to the North and South Jetties of the Columbia River Bar, as well as multiple large volume crushed rock projects for private development, ODOT, WSDOT, Clatsop and Pacific Counties, and all of the local municipalities. We are more than just a rock supplier. Because we are also an end user of the rock products we sell, we understand your needs and the challenges you face. Whether you need 100 tons or 100,000 tons, delivered or picked up, Give us a call and make Big River a part of your team on your next project. 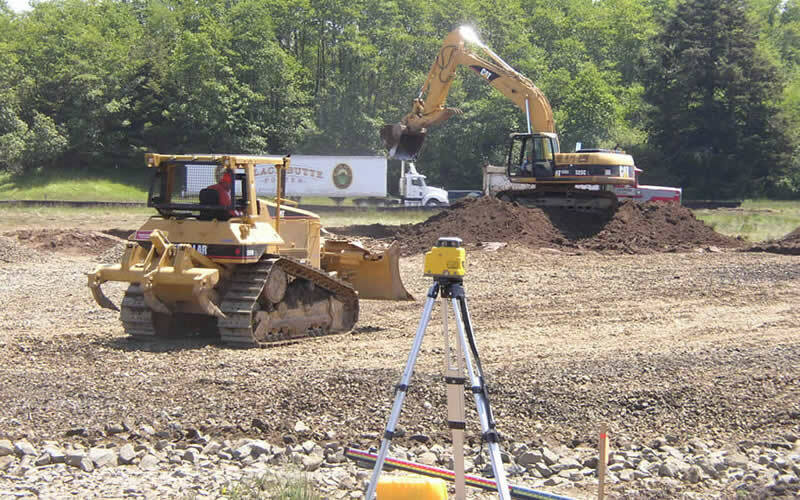 This project consisted of sorting, producing, trucking and stockpiling 14,000 tons of Jetty Stone, 45,000 tons of 2 Ft, 25,000 tons of 3'-5' and 45,000 tons of 8" Minus. 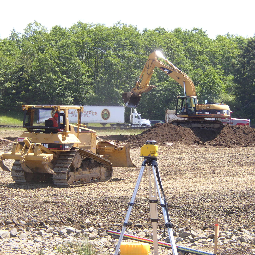 This project consisted of excavating work and installation of 150,000 ton surcharge within a compressed (six-week) field schedule. 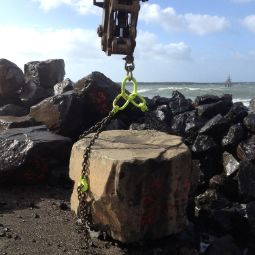 This project consisted of sorting, producing, shipping and stockpiling 3,000 tons of 6-14 ton stone for jetty repairs in Westport, Washington.